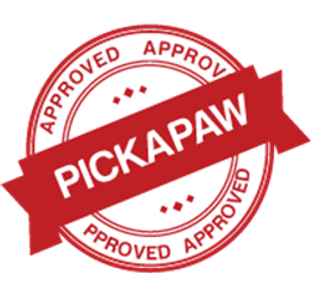 Olga from PickaPaw interviews Fern and David Flett of Bichon Lovers. On May 25th, we visited Fern’s and her husband David’s home near Langton Ontario ,about two hours west of Toronto. Fern is a responsible Bichon Frise breeder with anatural rearing holistic approach to breeding. Her dogs are of Canadian and International Championship CKC bloodlines. We had a little tour around the kennel and were pretty impressed by the nursery (made by David), the wardrobe with cute little doggy clothes and a huge freezer filled with homemade food, specially made for the lucky Bichon’s. We thought this would be an hour-long visit, but the stories, lessons and Fern’s enthusiasm kept us in the house for at over 3 hours. How did you become a breeder? We have been breeding dogs for over 20 years now. First the beagles, then we discovered the hypoallergenic Bichon. A French breed that touched our hearts like no other breed and fell inlove with them immediately. David and I and many others often say once you go Bichon, you can never go anywhere else! We also tried breeding Yorkies but decided Bichon are the best breed ever and the only breed for us. Today we are both retired and can dedicate all our time to our fluffs. What is the life of a breeder like? It is a full time job and it never stops – day and night 7 days a week 365 days a year. There is always something to do, especially when we have puppies. Our girl Samantha gave birth May 17 2015. We were helping her feed the pups every two hours because she had eight babies. One girl was quite tinnie tiny only 4 ozs so we woke up several times per night to feed her. We gave her and the others goats milk and a special all natural immune booster. This also gives the mom a bit of a break around the clock for a week. They doubled their weight in one week. This can be a difficult lifestyle but one we choose because we love the breed and love helping others find a healthy happy pup to love and be loved for many many years. For example, we don’t travel that much together. When our son in law Rev Mike Jones in Belding MI died unexpectedly, we weren’t sure if we could go to his funeral. Our daughter and grandchildren needed us. Two of our past puppy owners stepped up and stayed at our home taking care of everyone so we could go together. When our daughter had a graduation in Chicago, only one of us could go. This time David went, I went to our son’s graduation. What is your view on immunization and nutrition for animals? We feed a species appropriate raw meat diet. Something else that is near and dear to my heart is providing information for my puppy owners about immunization. They will learn how to have their pups immunized not just vaccinated. They will learn a way that will provide their pups with immunities safely for life. We are natural rearing breeders. Who is, in your opinion, is a responsible breeder? They should be a reputable breeders! They should take a Holistic approach to their Breeding program choosing food for nutritional value and not price. They should be a natural rearing Bichon breeder. They should provide a very personal service, offer years of knowledge and ongoing puppy guidance at no extra charge. Health certificate, a written guarantee and CKC reg. Provide a veterinarian wellness exam. They should raise their fluffs in a relaxed healthy smoke free home with an all natural nutritional program and lots of tender loving care. They should willingly without being asked, provide references,from happy past puppy owners. Families from Ontario and other provinces mostly referrals. We very rarely and only under special circumstances ship our pups. We encourage our future puppy owners to come to us to pick up their puppies. They arrive from places as far as Saskatchewan, Newfoundland, Nova Scotia, California, Edmonton Alberta and South Africa. Once we had a Hollywood movie star who bought a puppy for his mother! Some of the men that visit claim the puppy is for their wife. “My husband and I just chuckle to ourselves,” says Flett. They know that within days the dog will be his. “It’s so interesting to see the transformation,” she says, as the little bichon puppy wins the burly man’s heart. When men choose a best friend, size really doesn’t matter. What are some of the challenges currently the responsible breeders are facing? To provide a chemical free environment and finding the time and funds to provide this very important needed living conditions. To find new owners that will provide this environment after the pup leaves the breeders home. Also, often breeders are attacked for what they do by people that don’t distinguished between puppy mills and responsible breeders. I am a dog breeder. I spend time learning pedigrees, taking care of the dogs, doing shows, talking and learning from those in my breed and those outside it. I raise each litter as if I gave birth to them and spend an equal amount of time finding them loving forever homes. I only put puppies on this planet that I think will be the healthiest (mentally and physically) and nicest examples of their breed. I support each family who choses one of my puppies and let them know they are now a part of our extended family. I am there if one needs to come back and will aggressively pursue the return of one of my dogs if its in the wrong place. I support my breed in rescue and education. I don’t keep track of the money and time I put in to my love of dogs, it would not be true measure of how I feel. I support my friends in the fancy, because it takes a village sometimes and only WE know how things are for us. The price I charge for my puppies is never profit, but investment in the next generation. I will not be ashamed of who I am, I work hard at being a good dog person and encouraging others to be the same. I am a breeder and I am proud of it. What would you advise to all your future customers? Our new puppy owners receive 47 pages of informational links to read so they can learn how to make informed educated not fear base decisions, about the health and well being for their pup. In this free information pack there are natural ways to protect from heatworm .flea and ticks. How to obtain natural immunities and the potential dangers of vaccines and the potential dangers of spaying and neutering, how to feed a species appropriate diet and lots lots more. This is a package I distribute to all of my puppy owners. Education is very powerful. We let people make their own decisions, but ask them to make these decisions based on knowledge and accurate, up-to-date information. We are here for our puppy owners 24/7. What makes Bichon Frise breed special? Bichons have an independent spirit, are intelligent, affectionate, bold, lively charming. They have a self-assured, happy temperament that is easy to live with. They are easy to train, they are social and love everyone. Bichons need people and are the happiest when they are part of a family that takes them everywhere. Bichons are fine in the company of other pets and are excellent with children. They will alert you to intruders. Bichons love to perform tricks because they love to entertain you. And they are just white fluffs of joy. Fern Flett is an exceptionally knowledgeable, dedicated & devoted Breeder who tirelessly keeps in touch with her Pet Parents. Never too busy to be reached, never too busy to answer any questions. Her Mums and Dad Bichons are healthy, vibrant & healthy! She is proud to show you her entire kennel; we met our Bichon parents, and were able to see all of the pups as well! We adopted Two Twin Girls from Fern. 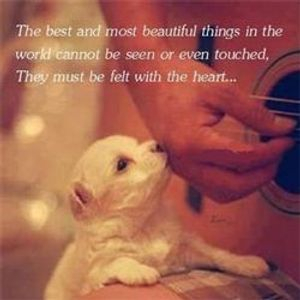 They arestrong, healthy, happy, playful beautiful pups whom we love dearly! Fern doesnt just sell fantastic puppies she really goes out of her way to give you an Adoption! We got Mum’s pregnancy pictures; newborn puppy pictures… regularly all the way thru their growth & development right up to the day we met them & took them home! We still keep in touch with Fern and think very highly of her and all the extra work that she puts into breeding her lovely Bichons. I wouldnt hesitate for a minute to highly recommend Fern & David Flett to any family wanting beautiful healthy Bichon puppy! She sets the bar for what all Breeders should be! Adopted 2 puppies from bichon lovers and the puppies are healthy and have fantastic personalities. They are very smart. Fern takes extra care in raising her puppies, providing them with natural nourishment to build their immunity systems. As a repeat adopter – I can honestly state that I feel my puppies have come from an excellent breeder. Excellent breeder! Space where she keeps the puppies and Moms was immaculate. She cares about every puppy like it was her own child! Provides follow up advice even after puppy goes to new home. My dog is 11 years old now. He has had no significant health or behaviour issues. He is good with children and has been my constant companion. Very knowledgeable breeder. Honest. Raises puppies with the utmost care for their health in mind. Their facilities are outstanding in cleanliness. We bought Koby 8 years ago and he is the the best dog in the world ! His temperment is so sweet and friendly. He is also very healthy and always has been. I would buy from Fern again . Excellent breeders ! Superb Bichon Frise breeder. Fern and David really put a lot of love and care from a very clean and neat nursery, to feeding their dogs a raw healthy diet and are always keeping their puppy owners up to date on ways to keep your dog healthy after they go to their forever home. Fern is always there to ask questions and gives very good advice and references to read if you have any questions. My Timmie is now 4 1/2 years old and is absolutely healthy and happy dog. He has never had any health issues, no skin allergies or other any other issues whatsoever. If you are looking for a breeder with a good reputation of taking care of her dogs and producing healthy puppies, Bichon Lovers is the place to go. They are very open to let you visit with them and Fern always screens her potential puppy owners to make sure they will love and care for her puppies as she and David do themselves. They love to stay in touch and see pictures of how their puppies grow into beautiful healthy dogs! I would give a 5 Paw recommendation. Hi. Fern is over the top! 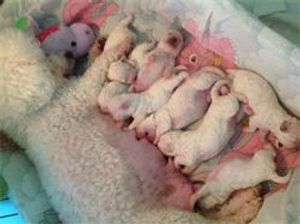 Very caring, clean, and very well experienced breeder who certainly knows everything there is possibly to know about breeding, Bichons, and more. I would recommend Fern / Bichon Lovers to everyone..
We adopted Lola Love from Fern over 4 years ago and we were extremely happy with our entire experience during the adoption process and we continue to keep in touch with Fern to this day. We have referred many friends to Fern because of the way she raises her pups and cares for her pack. Fern has taken on a natural approach with her Bichons and it shows in the health of all her dogs. Recently did a full check up on Lola Love: all the blood work including titres, stool and urine sample. 100% healthy and happy. Fern is a wealth of knowledge. Listen and reap the benefits of having a loving, happy, healthy companion for years to come. I would encourage anyone looking for a Bichon to adopt from Fern. I would recommend this breeder absolutely. I feel confident that you will not find another breeder who loves our fur babies like Fern does. I have 2 babies that I adopted from her, My wee Jessie Beth and my beautiful Maggie Rose, they will be 10 years old in October, and they have brought me nothing but Love. Fern has kept in contact with us, she has asked for updates on my babies, and offered advice when needed. They may be our Fur Babies but Auntie Fern plays the role well, keeping them a part of her life. I would without doubt buy from her again, and would recommend the same to anyone looking for beautiful fur babies. We are so happy with our puppy Watson, he is a bound of energy and very loveable. We are very fortunate to have crossed paths with Bichon Lovers; It is obvious this is their passion, they take great care in raising healthy and happy puppies and willingness to share their great knowledge of doggies in general. Kudos to Bichon Lovers!